He has been a prominent face on Zee Business with a loyal fan base following across the country. His award-winning program “Bazaar Shastra” ran successfully and completed almost 100 episodes with high TRP ratings www.youtube.com/bazaarshastra He has widely lectured in premier institutes across India, like SRCC and IITs (Indian Institute of Technology). 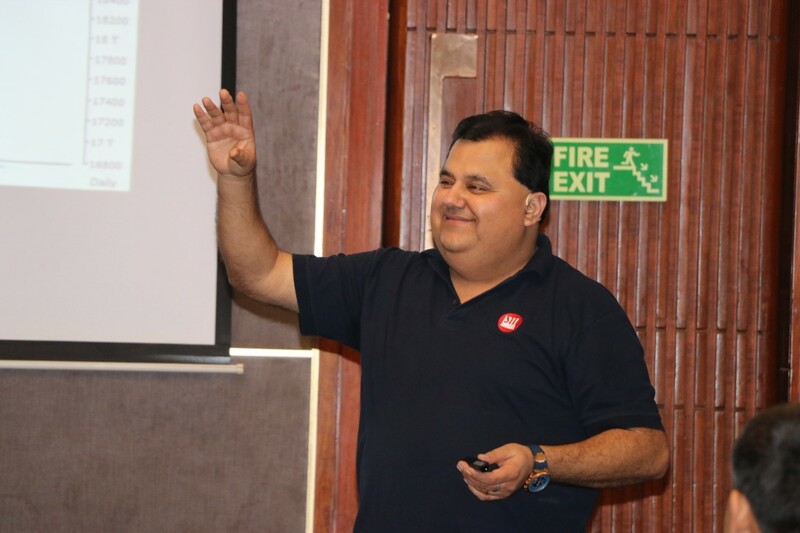 He is the only stock market Expert in India who has successfully blended Technical Analysis with the behavioural psychology aspect of the trader. He understands human psychology not only in the context of stock markets but also how psychology can drive human behaviour and emotions. He has just started a new online series related to Stock Market psychology named "Bazaar Bites" and A Unique series for Beginners named " Market Pathshala "exclusively on YouTube and this channel www.youtube.com/sunilminglani has already crossed 350000 Subscribers in Just 1 Year. He has experienced the crests and troughs of life like a commoner and explored it well during the process. Though he is a successful entrepreneur he still believes that learning is a lifelong process that never ends. He has an urge to do something transformational for society by changing people’s view towards life with a mission appropriately named “VALID VOICE” by sharing his own life story and experiences. In his own words, “During a very tough time in my life, I initiated to explore who I was and define my true “self”. Much like everyone else, I grew up in a society in which the “self” was a very vague concept that people never considered. I needed to find and define “me”, to make the choice to be myself”. He was born into a small entrepreneurial family which had a retail business in Delhi (India). He always believed in practical knowledge over theoretical knowledge, so he decided to join his family business of retailing over regular college and started his carrier at the age of 18. From a young age, he was selling, negotiating, listening to and serving customers- experiencing life first hand. While few people shared their life stories behind the shop counter, others hadn’t time to say hello! This was to be the best training course in his life. His sharp observation and quick learning skills enabled him to many useful and practical discoveries about human nature. In 1997 after tasting the retail business, he transitioned to Garments business which he founded with his close friends. Soon he took his business to new heights where he became a well-known figure in the garments industry. Despite this success, eternal happiness still deluded him which he was looking for. At the same time, he became quite fascinated by financial markets which were to become his Hall of Fame for life. It was a turning point in his life when he became a successful Technical Analyst and a trader. He gave remarkable and successful individual shows "Bazaar Shastra " & "Sher Bazaar" on ZEE Business to the country. He was invited in many seminars and workshops in many colleges and universities across India including prestigious SRCC Delhi, NIT- Kurukshetra etc. to name a few. Apart from being a successful Technical Analyst, he started his training institute to impart this valuable knowledge to the amateurs as well as the people who hold topmost positions in their respective fields. He had an innate urge to break all age-old myths by taking life challenges entirely with different perspective and view, so he connected all his shows and seminars not only to instil knowledge in people but to make people understand the connection of nature with everything they do in their life. He created his own benchmarks and broke many age-old myths. He transformed his life into a living example of "mind over matter". Against all odds, with passion, determination and a "can do" attitude, he turned each challenge in his life into great success. His unshakable faith in the divine power grants him the strength to thrive. People all over the country love and appreciate his phenomenal oratory skills that give motivation and confidence to them. Apart from being a successful person, he is passionate about making the world more creative and helping people realize their full potential. He is an expert in personal development, specializing in rapid learning mechanisms, communication, relationships, parenting, establishing a work-life balance, enhancing self-esteem, build confidence and stress management. He has mentored people on their search for passion, purpose and happiness. Sunil draws inspiration from his years of personal and professional experiences as a kid, a student, a researcher, an educator, a business owner, a traveller, a trainer, a public speaker, a husband, a father and a community developer. 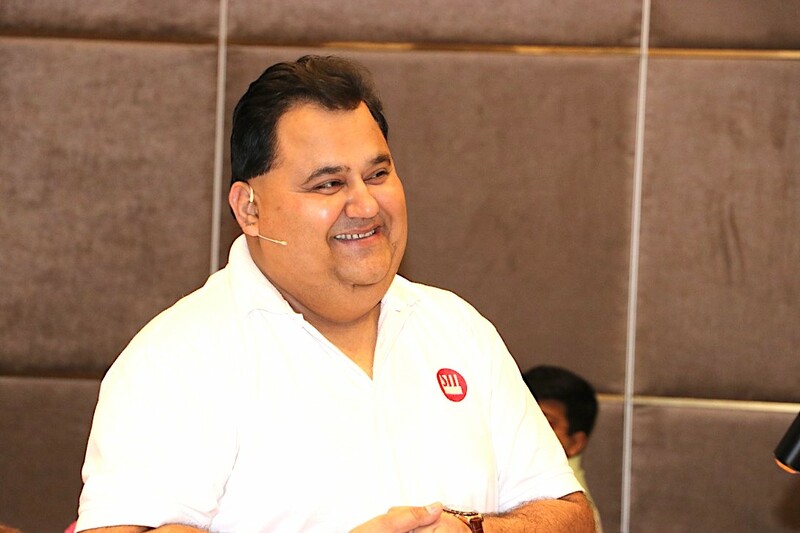 Sunil brings a unique speaking and listening style that combines honesty and expert advice together with practicality, giving his listeners the motivation and confidence they need to create their own life.